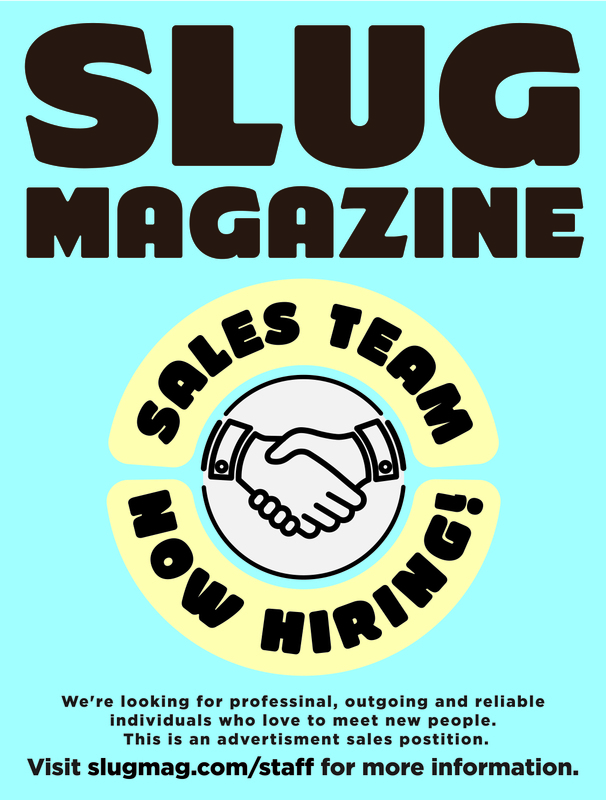 SLUG Magazine is looking for a full-time independent contractor to join our office team—immediately! If you are interested in applying for this position, please send your résumé to: jobs@slugmag.com; Attn: John Ford. Please, no phone calls. • Working Knowledge of Adobe CS6, MS Word, Excel, Google Drive, Word Press, etc. SLUG Magazine fosters a highly skilled, creative, energized and empowered workforce. This is a full-time position. Compensation discussed at time of interview.